CEs must maintain their competencies. 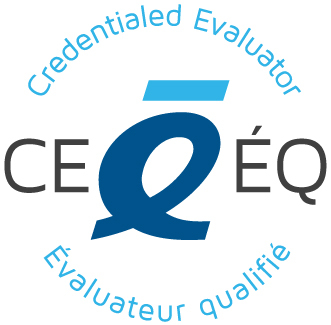 CEs were awarded the Credentialed Evaluator designation on the basis of their education and experience which were deemed relevant for them to be a competent evaluator. Competence is not static; it must be maintained. Therefore, as part of the triennial designation renewal, CEs demonstrate that they have accumulated at least 40 hours of Continuing Education Credits over three years and report on these hours. These credits are obtained in areas related to the CES evaluator competencies. Several categories of activities are recognized and CEs are encouraged to partake in a variety. Access your member account to report on these Continuing Education Credits. Here are more details on how to actually maintain your continuing education record. CEs are encouraged to display their designation prominently and advocate for the designation. CEs have demonstrated through acquisition of the CE designation a pride in professional identity. Through a rigorous process, they have been recognized by evaluation experts as having the education and experience required to be a competent evaluator. Growing the value of the CE requires visibility and CEs are urged to add the designation to professional signatures (electronic and other), to their curriculum vitae and bios. CEs are ambassadors of the Professional Designation program. The designation is held with pride, which is expected to materialize as open support for the program by CEs and promotion by CEs of the PDP in their professional circles.